Sign up for Broadjam today to follow Marie Gabrielle, and be notified when they upload new stuff or update their news! 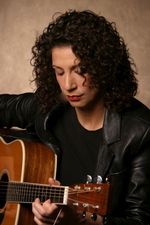 Marie Gabrielle completed her debut CD "Restless Angel" on her indie label "RightFoot Records" in 2006 where she co-produced with producer/engineer Dae Bennett and producer Hugh McCracken at the prestigious Bennett Studios (www.bennettstudios.com). 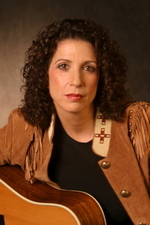 With her warm distinctive vocals, strong guitar playing and slide style, substantial lyrical content and rhythmic intonations, there is a generous mix of solid acoustic/rock instrumentation and a simple old fashioned blues groove. Marie is in the company of some of NY's most elite musicians, including: Hugh McCracken, Dr. John, Christopher Parker, Lorenza Ponce....and many more. 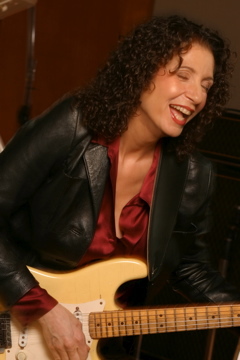 She's toured Australia several times including "The Melbourne International Music Festival and has performed and/or shared the bill with: Dr. John, Wyclef Jean, Lucinda Williams, Taj Mahal, Blondie and many more. She has written music for film and television and is currently working on her second CD and producing Indie artists. Voted one of the TOP 12 DIY (Do it yourself) New Artists of 2006 in "PERFORMING SONGWRITER MAGAZINE"!! ..."Gabrielle belts it out in a way that would make Bessie Smith smile, Overall, "Restless Angel" is like a beer with an old friend at your neighborhood blues bar - comfortable, amiable and satisfying". ...."Restless Angel is an honest work"...Australian Musician Magazine. .